Making time in your busy daily routine for exercise can be a challenge. Some days, you’re lucky to just get what’s on your to-do list done. 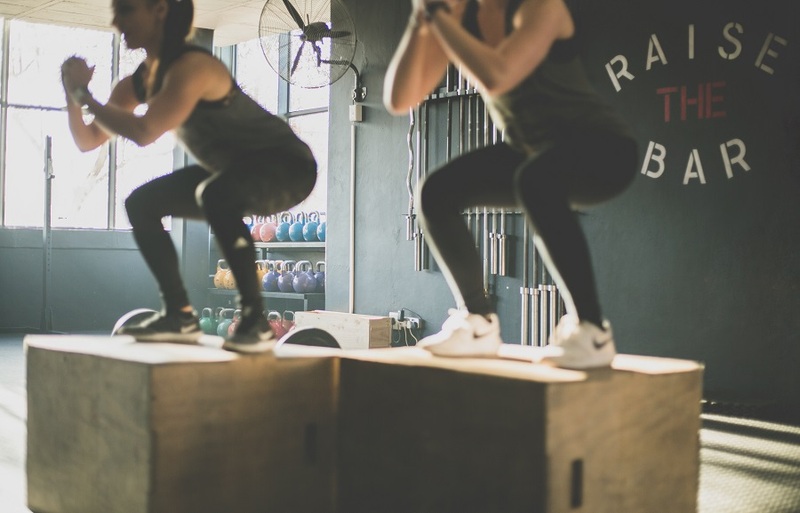 If a workout didn’t make it on the to-do list, you didn’t do it. You take your fitness seriously, but you just need more minutes in the day. Well, we have a no excuses plan for you to fit in at least 5 minutes of strength and stretching in, without cutting anything else out! 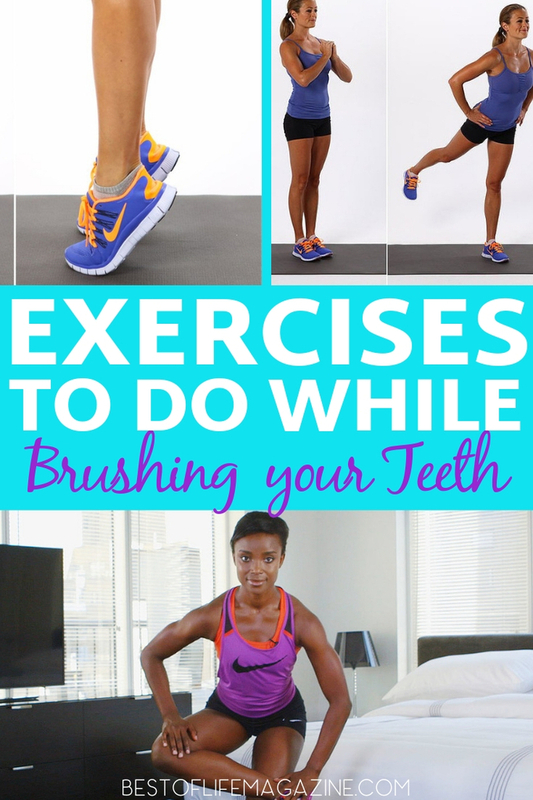 All you need are these simple and effective exercises to do while brushing your teeth. 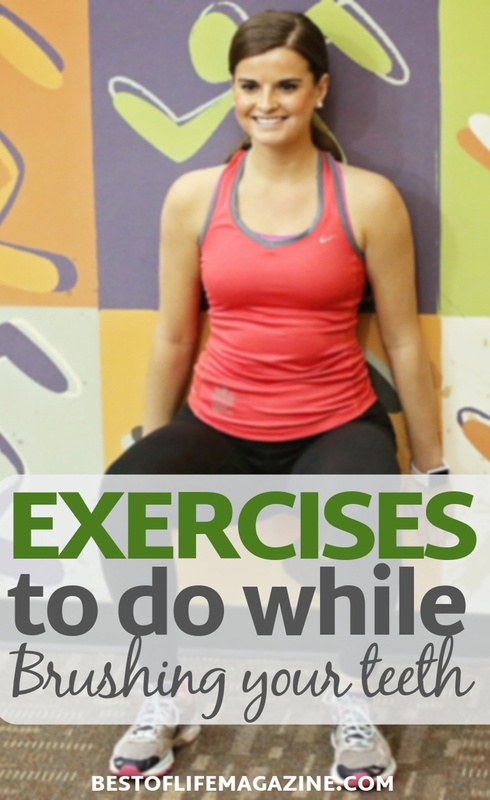 Utilizing exercises to do while brushing your teeth allows you to get a quick workout done in the morning and you don’t have to sacrifice time. Exercise is cumulative. If you can squeeze in a few minutes here and there you are doing yourself better than if you did nothing. You already know you can park the car a little further from the building and choose stairs over the elevator, but what if I told you that you can use up even less time than that and still exercise? It’s as simple as the one thing you already do twice a day! You brush your teeth twice a day for a few minutes regardless of how late you woke up or how busy your day was. Why not make that healthy habit do double duty! Instead of staring into the mirror, turn that idle time into a mini workout with this list of exercises to do while brushing your teeth! Your dentist and your scale will thank you! Stand up tall and then raise your heels a few inches off the floor until you are on your tiptoes. Hold for a count of 3 and then slowly lower back down. Do 3 sets of 8 to 10. Wall sits focus on your quadriceps. You will feel this one! Place your back against a nearby wall and slide down until hips, knees, and ankles are all at a right angle. Keep your feet about shoulder-width apart and your back against the wall. Don’t lean forward. Time yourself, starting with one minute. Stand with feet shoulder-width apart and sit back into a squat. Never let your knees extend past your toes. When you reach the bottom of your squat, drive your heels into the floor and squeeze your glutes to come back up. At the top of your squat, raise one leg up and away from your body for some abductor work. Pause, squeeze your glutes again and control the leg back down. Repeat the squat and alternate side raises. Aim for at least one set of 10 reps on each side. This move starts with feet slightly wider than shoulder width. Turn your toes out to a 45-degree angle. Raise one heel off the floor. Then, bend your knees and lower your body, keeping your back upright. Squeeze your glutes and come to a standing position. Switch heels and repeat for a set of 8 to 10 reps. Stand up tall with a straight torso and a slight bend in your knees. Bend your right leg behind you and leading with your heel, push back as far as you can without bending forward at your hips. Then, return to starting but don’t put your foot down. Repeat on the same leg for a set of 8 to 10. Then switch legs. Turn sideways to the sink and use your free hand to support you as you balance on one leg. Extend the opposite leg out in front of you as high as you can. Sit back into a squat as far as you can without letting your front leg touch the floor. Come back to the beginning and repeat for 8 to 10 reps. Then switch sides. This one is as simple as it sounds. However, if you maintain a strong core and balance, you will work your abs in addition to a little lower body work. Stand tall and straight with just a slight bend in your knees. Alternating legs, slowly pull your knee up toward your chest without bending at the hips. Hold the knee raise for a count of 5 and slowly lower back down. Repeat 8-10 reps on the same leg before switching. Standing with your feet slightly wider than your hips, point your toes forward and place your free hand on your hip. First, tilt your pelvis back like you are sticking your bootie out. At the same time pull your shoulders back which will shift your chest forward. Then tighten your core and feel your abs engage and you slowly pull everything back in. Finish 10 reps.
With your free hand, hold on to the sink or counter. Step back until your arm is extended. Cross your right ankle over your left upper thigh. Make sure it is above the left knee. Then using the counter to maintain your balance, sit back into a squat position. Feel the stretch through your hip flexor and into your glute. Hold for 15 to 20 seconds. Return to standing and repeat on the other side. From a wide leg stance, turn your right toes out and bend your right knee directly over your ankle. Turn your hips and the shoulders towards the sink and reach your right arm out to your side. Then turn and look along your right arm. Sink your hips towards the floor and lengthen your torso. Relax your shoulders back and down. Hold and breathe for 15-20 seconds. Then, slowly unwind the position by straightening the legs and turning the feet back to center. Repeat on the other side.